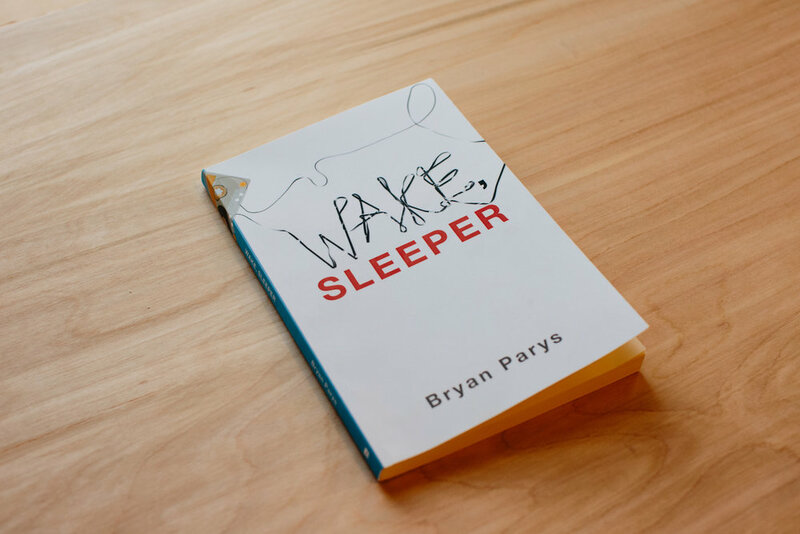 The book cover was a collaboration with Tim Ferguson Sauder (asmallpercent.com) for the memoir Wake, Sleeper by Bryan Parys (bryanparys.com). Poster #1 (on yellow paper) was designed to accompany the book, with an illustration of the author (actually an alternate design for the book cover!). Poster #2 is for the book release the author had at the historic Cabot Theater in Beverly, Mass. Both were hand screened on French Paper Co. paper.